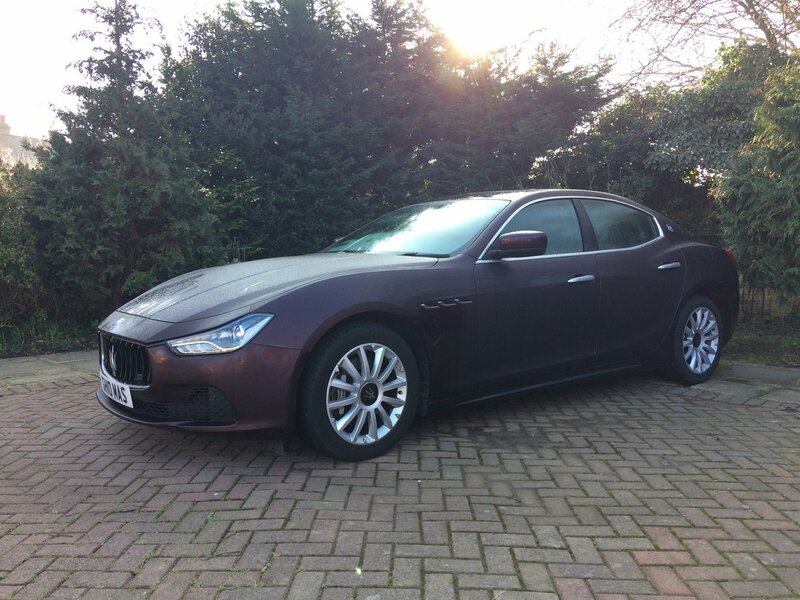 I am advertising my cherished Maserati Ghibli with a heavy heart. These cars are such superb value now. This example has been owned by me since August 2016. 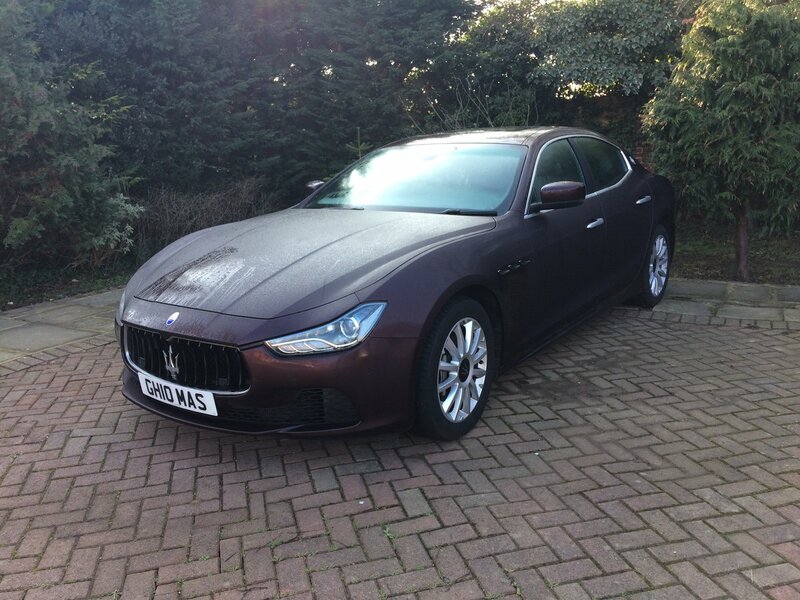 The colour alone sold the car to me. 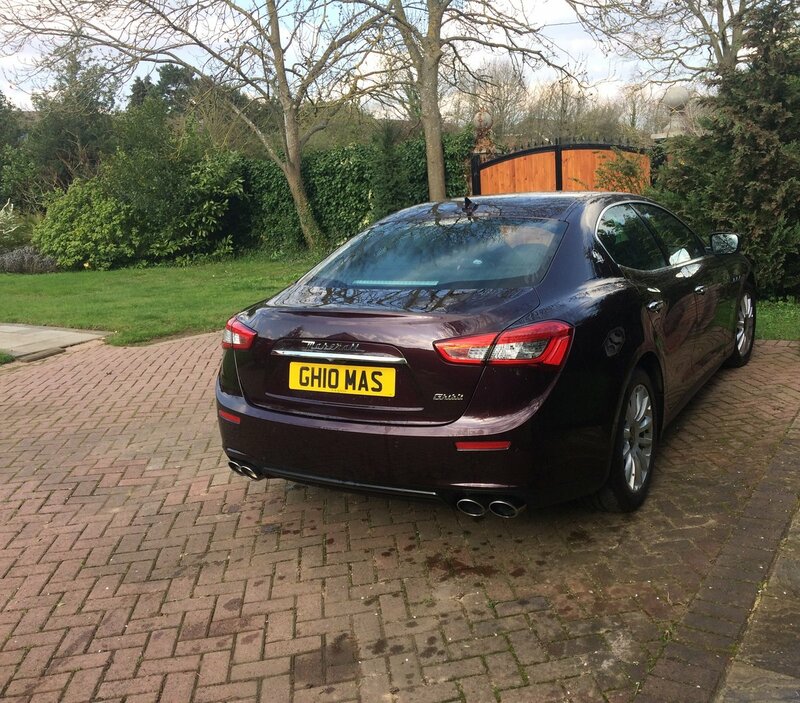 It carries a private registration plate which with some imagination spells the car and model "GHIB MAS". The car has a current MOT passed at end of February 2019 with no advisories and showing genuine low mileage of under 35k. It was supplied by HR Owen in London new in March 2014 and has full HR Owen service history with four stamps in the service book. It doesn't get better than this. 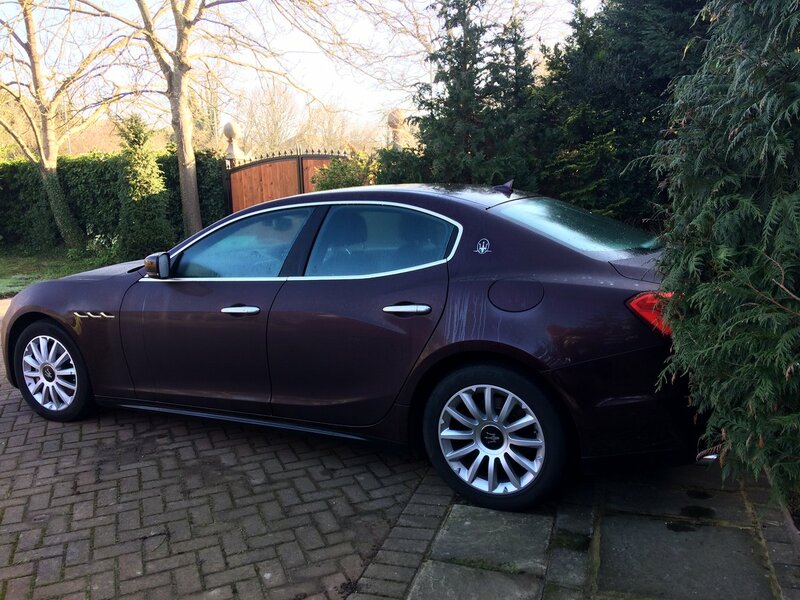 The car has the usual refinements which I won't list, but happy to answer any questions.